Just back from London – was invited across for the weekend to demo at an entertainment industry workshop. Ended up running the life drawing sessions while other artists did live digital painting demos. Was amusing to be working on paper in a room full of computers and projectors. I suppose I enjoy being contrary. 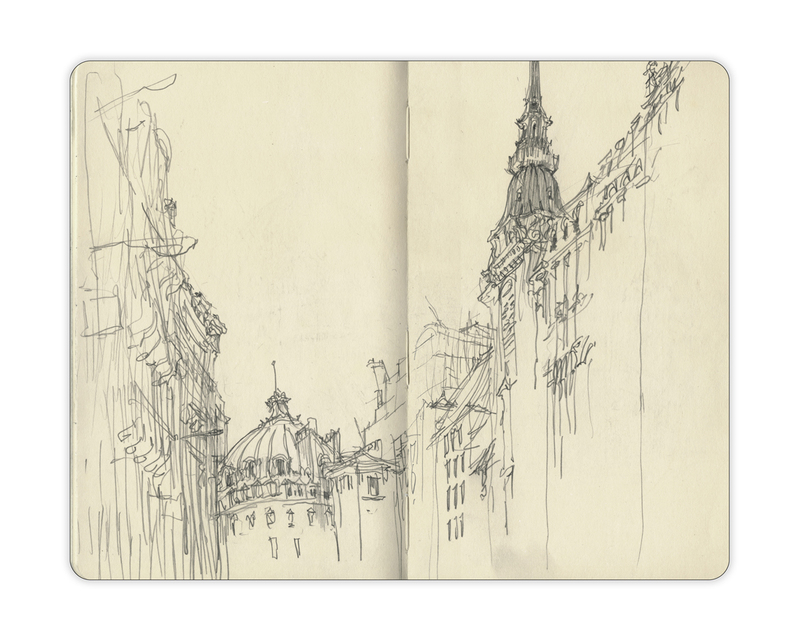 We were all doing our best to be available for critique of portfolios and talk about games and film art as a career – plus of course plenty of pubbing with an array of inspiring artists – so I was only able to steal a couple hours for a race across London with my sketchbook. 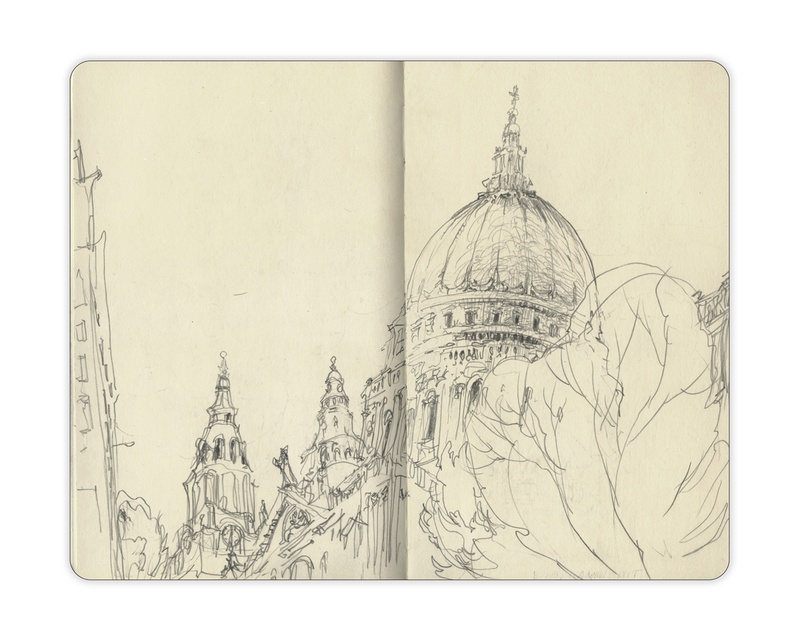 A little sketch-crawl from Southwark to Waterloo. 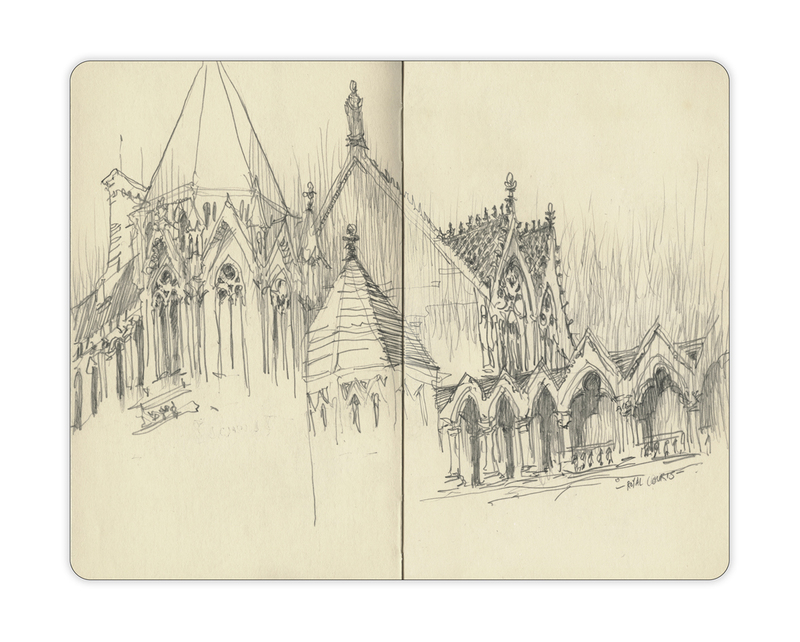 Apologies to the USK’ers in London – I had so little notice that I’d be invited for the event, then so little time while there – I didn’t make the effort I should have to meet up and go drawing. 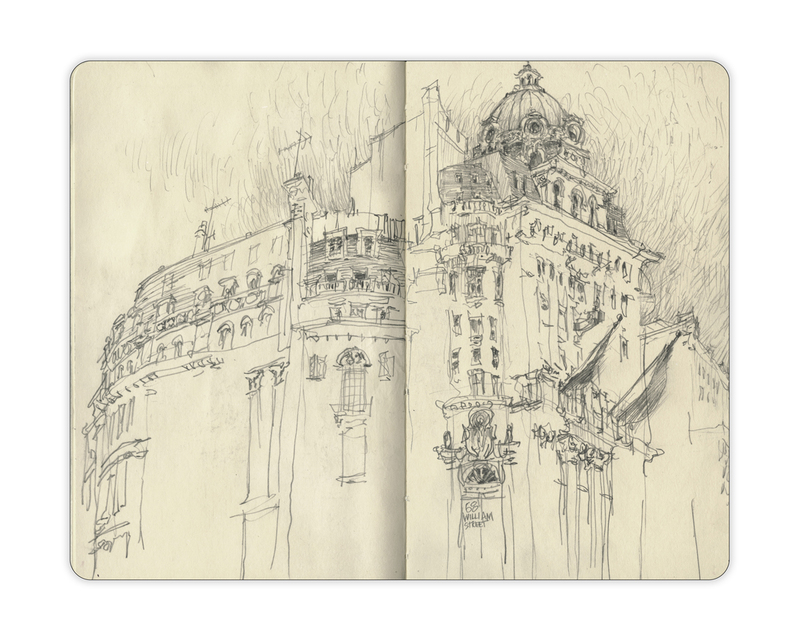 I hope to be back soon for a real sketching trip! These are great, Marc. Have fun in Barcelona.